What goes better with a great glass of wine than a spicy Tuscan-blend extra virgin olive oil drizzled on fresh bread? Hand picked, and first cold pressed. Montemaggiore's extra virgin Olive Oil is made from spicy Tuscan varietals, grown on a mountainside in Dry Creek Valley. You've never tasted anything quite so delicious! 375ml bottle. We release our newest olive oil as Olio Nuovo, which goes from tree to bottle before the solids have had a chance to rest. Only available right after harvest, this seasonal olive oil has a unique, intense, spicy character—the olive-equivalent of Beaujolais nouveau. Olio nuovo adds a sublime finishing touch to grilled fish, grilled vegetables, and soups—but Lise's favorite is warm, crusty bread drizzled with Olio Nuovo and sprinkled with sea salt. We recommend that Olio Nuovo be used within a month or two of purchase in order to enjoy its exquisite flavor at the peak of freshness. Typically available December through February. The answers to all your pressing olive oil questions. After a few months the olive oil becomes clearer and we bottle the remainder as traditional extra virgin olive oil. 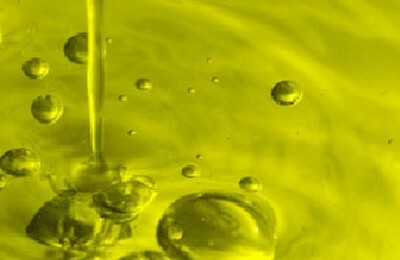 When released in the spring, the olive oil is a golden, clear liquid of uniform color and clarity. And yes, if not all the olio nuovo is consumed while young, it is essentially traditional olive oil (with sediment at the bottom of the bottle). All Montemaggiore olive oil is a blend of three Tuscan varietals: Frantoio, Pendolino, and Leccino. Frantoio gives the oil its fruity notes, Pendolino it's subtle grassy aroma, while Leccino gives it a peppery finish. These olives come from our 2.5 acres of estate olive groves, and we make the olive oil on-site using a hammermill. Serve with fresh bread. Try Lise's super-easy recipe for no-knead olive rosemary bread but in order to truly appreciate the olive oil, leave out the olives and rosemary. Just serve the warm, crusty bread drizzled with olive oil and sprinkled with sea salt. Serve with fresh vegetables along with other condiments for what Italians call pinzamonio. Fennel, radishes, celery, sweet peppers, cauliflower, broccoli, and green beans taste great. Olio nuovo, Sea salt, balsamic vinegar, grated parmesan can be put in separate dishes. Drizzle on grilled fish or grilled vegetables (e.g., eggplant, portobellos, and sweet peppers). Toss with pasta and any combination of garlic, Parmesan, and red chili flakes. Drizzle on a hearty winter soup, for example, Tuscan bean stew or lentil soup. The two biggest enemies of olive oil are sunlight and oxygen. Our olive oil comes in a dark bottle to protect it from the sun, but you should still store your olive oil in a cool, dark place. If you always keep the cork on tightly, your oil should keep for a year or more. You will know that it has gone bad if it begins to taste flavorless (in which case you can bury it in cooked foods), or worse yet, turns rancid (in which case you can compost it).